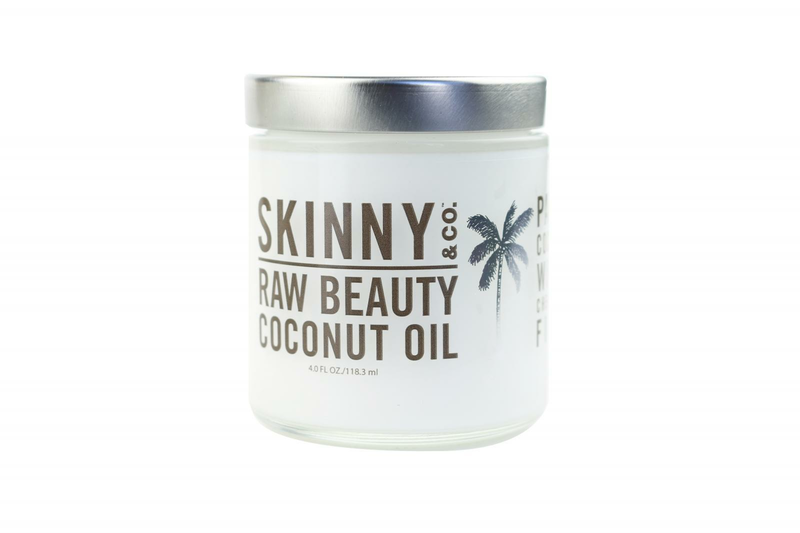 Skinny & Co is the first truly raw coconut oil in the world and is radically different because of its production temperature. 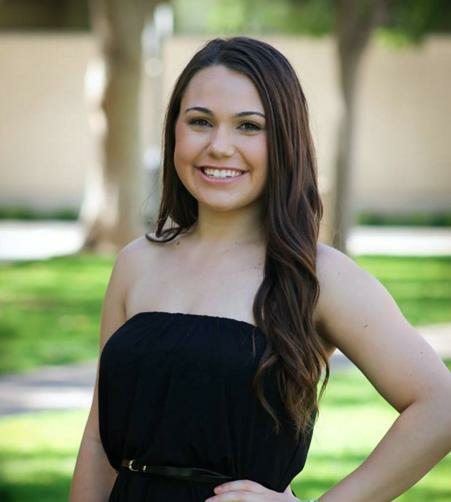 Their patented Nutralock System maintains the coconut oil under 100ºF, from start to finish. 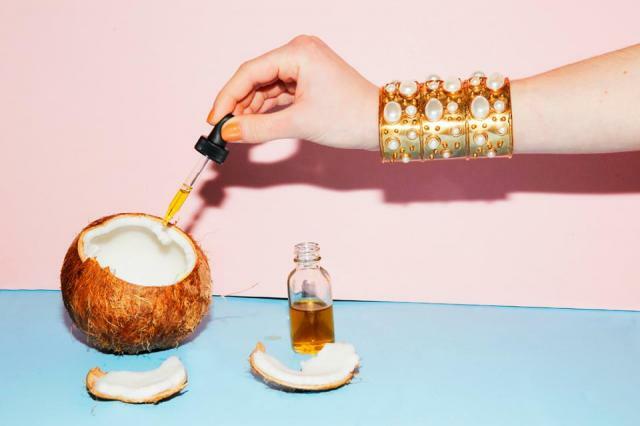 They're the only brand that personally sources 100% of their coconut oil. The coconuts are wild-harvested in Vietnam and are cold processed, not just cold pressed, and are never heated in order to preserve the nutrient content that's so good for your skin. The Skinny Raw Beauty Coconut Oil is 100% hypoallergenic and noncomedogenic, so it leave your skin flawlessly smooth without clogging your pores. Tilk! 's Scrub Me is a facial scrub filled with fresh and rich bioactive ingredients for your skin. With coconut oil and apricot kernel powder, Scrub Me renews skin cells and moisturizes your skin deeply. Light natural ingredients improve the health of your skin by detoxing and deep pore cleansing. Its amazing effect is coming from castor oil, coconut oil and bioactive complexes of calendula, horsetail and alchemilla. This tangerine delight is suitable for all skin types. Nature Beauty Mix's Whipped Coconut Body Butter melts into your skin and soaks in to deliver nourishing ingredients like coconut oil and shea butter to your skin and provide deep hydration all over your body. Nourish and rejuvenate your hair with Lilly & Lola's Renew Your Hair. This coconut oil treatment is made with the highest quality, pure coconut oils that are designed to penetrate the hair with a silky, natural formula that fits into your daily routine. 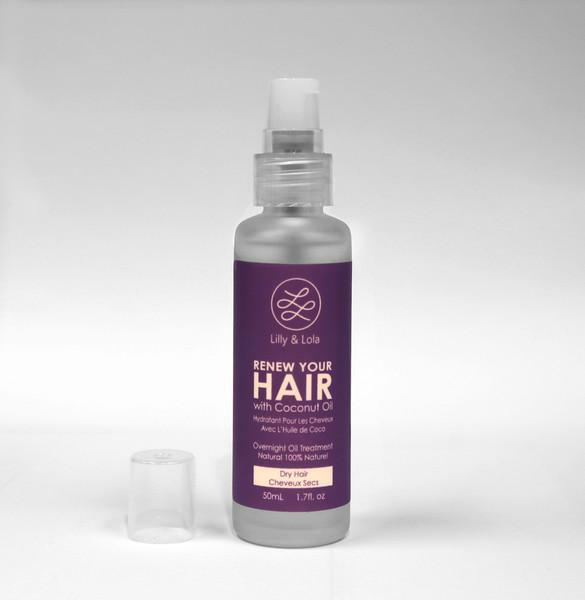 Recommended as an overnight treatment, Renew Your Hair revitalizes ends, hydrates your roots and scalp, smooths frizz, adds silk and shine, and detangles your locks for an intense hair renewal. 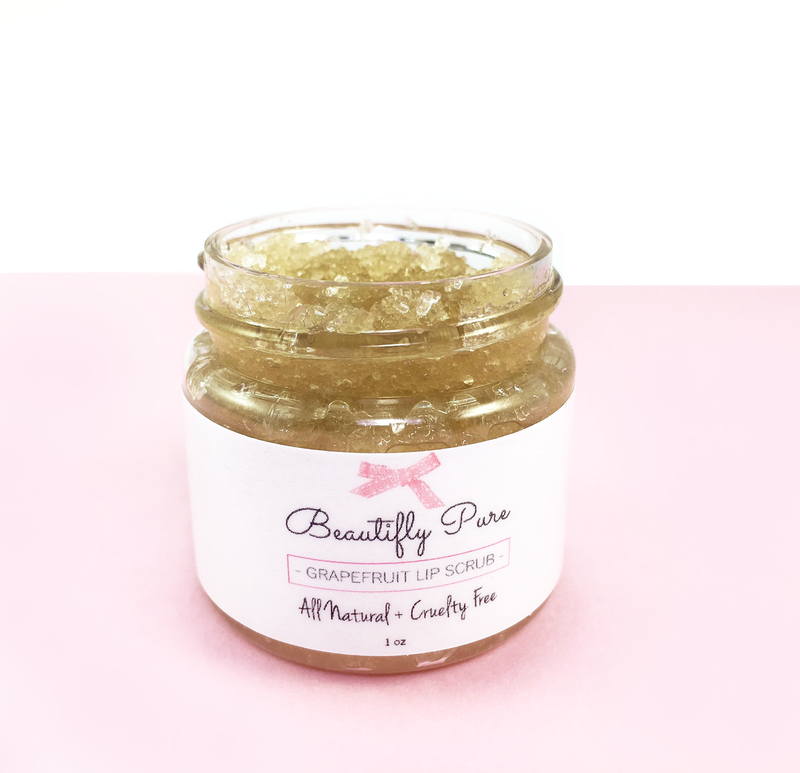 Beautifuly Pure's Coconut and Grapefruit Lip Scrub is made with Organic Cane Sugar, Extra Virgin Coconut Oil, Sweet Almond Oil, and Jojoba Oil. This scrub will exfoliate your lips, leaving them soft and tasting sweet. 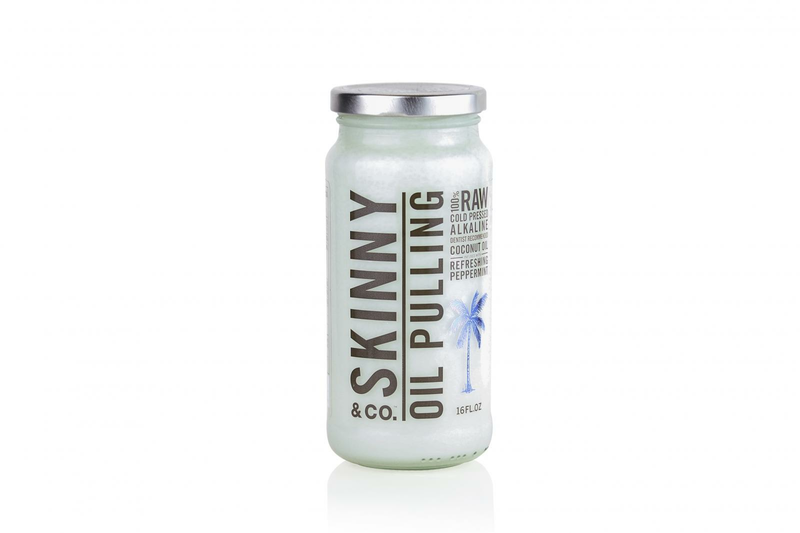 Skinny & Co combined their ultra-pure, chemical-free, "cold-processed" coconut oil and combined it with therapeutic grade peppermint oils to create their Oil Pulling Mouth Wash. The benefits? Whiter teeth, healthier gums, fresher breath, and a serious detox of toxins from teeth and mouth tissues. Your mouth will not be disappointed. Remember that your skin is your largest organ. Anything on your skin is quickly in your body. Skinny Coconut Oil is the only 100% raw, sustainably-sourced, small batch, chemical-free, preservative-free, never heated, and hand crafted coconut oil in the world. Because of our exclusive patented NutraLock™ system, our coconut oil never gets above 100°F while other coconut oils can be heated up to 350°F. Heat can strip the fruit of its natural beneficial properties. Our oil is also made without any solvents or chemicals during the entire cold-production process. This creates a truly remarkable oil that is 100% raw and natural. Skinny Coconut Oil is unique, there is nothing else like it. It takes 30% more coconuts to make, it is 100% pure, and in a liquid state it looks as clear as water. We take a lot of pride in our product and our production process. We are dedicated to making the best coconut oil on planet earth. Scrub Me facial scrub – fresh and rich of bioactive ingredients, it will help to renew skin cells and moisturise your skin deeply. Light natural ingredients improve the health of your skin by detoxing and deep pore cleansing. Its amazing effect is coming from castor oil, coconut oil and bioactive complexes of calendula, horsetail and alchemilla. This tangerine delight is suitable for all skin types. Nourish and rejuvenate your hair with Lilly & Lola’s Renew Your Hair. This Oil Treatment is made with the highest quality, pure coconut oils that are designed to penetrate the hair with a silky, natural formula that fits into your daily routine. Recommended as an overnight treatment for intense renewal. Thoughtfully bottled with a pump for convenient, controlled dispensing. Infused with natural vanilla bean, our 100% natural Oil Treatment will make your hair look, feel, and smell irresistible. 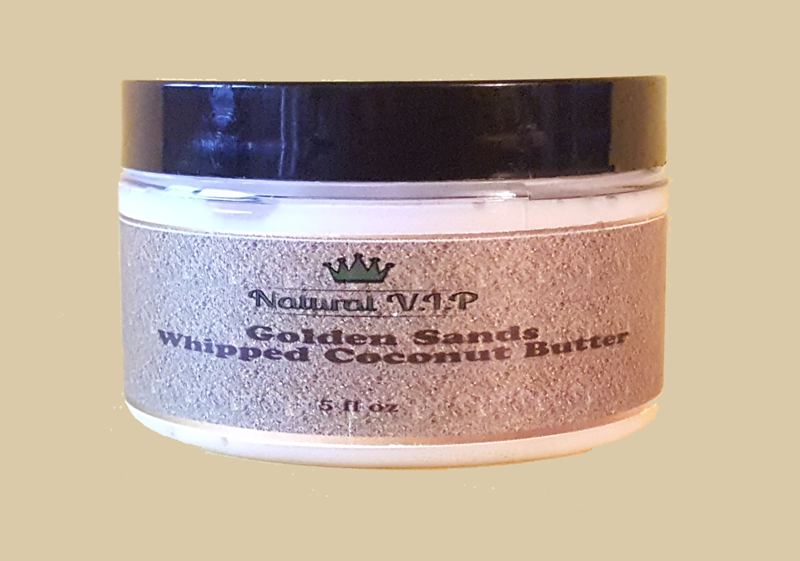 Whipped coconut body butter is an excellent natural skin moisturizer. It comes in a variety of scents which include Golden Sands, Honey Almond, Peach Mango and Cotton Candy. Coconut Oil is an anti-inflammatory and antibacterial its properties help to protect and moisturize your skin. Shea butter is high in Vitamin A and E, great for treating dry skin as well as sun, wind and cold damaged skin. This butter melts in contact with your skin and soaks right in to your skin to deliver all the nutrients contained in this nourishing skin body butter. You will also enjoy the scents that this coconut body butter comes in which will last all day. Ingredients: Coconut oil, Shea Butter, Vitamin E and Fragrance. How to use: Apply whipped coconut body butter wherever your skin needs moisture. Can be used all over the body. Chapped lips? No more! Get healthy, smooth lips using our all-natural lip scrubs; made with Organic Cane Sugar, Extra Virgin Coconut Oil, Sweet Almond Oil, and Jojoba Oil. Our scrubs will exfoliate your lips, leaving them soft and tasting sweet. Follow up with our amazing lip balms. We combined our ultra-pure, chemical free, "Cold-Processed", coconut oil and combined it with therapeutic grade Peppermint oils to create the best oil pull on the market today. You won't be disappointed.